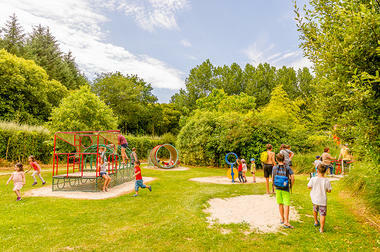 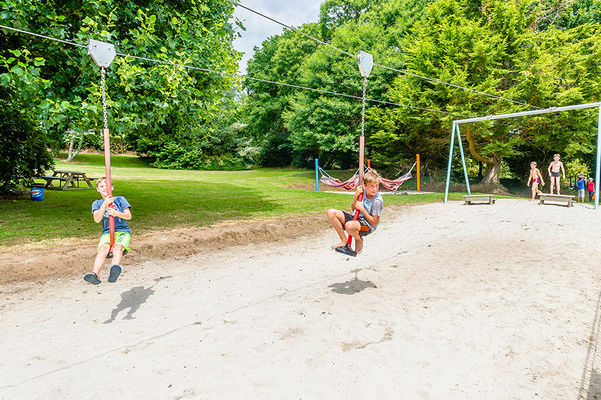 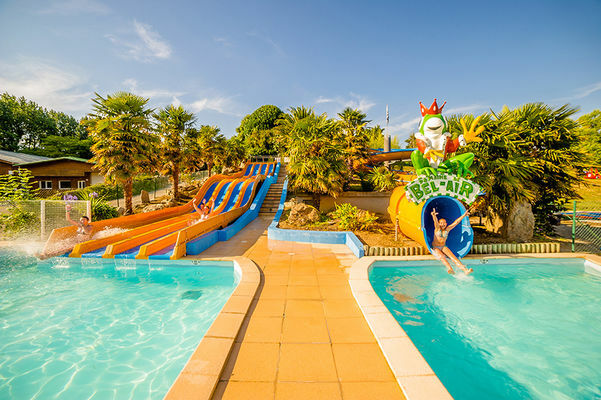 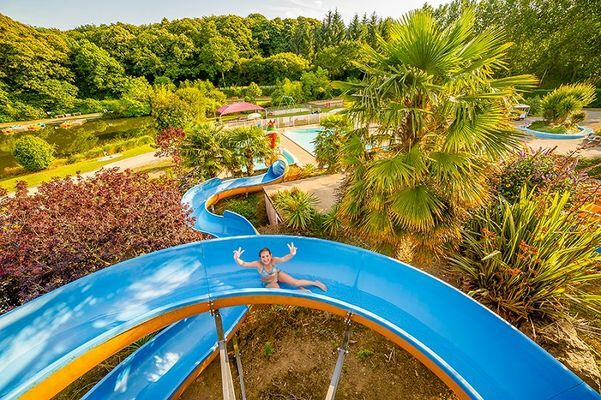 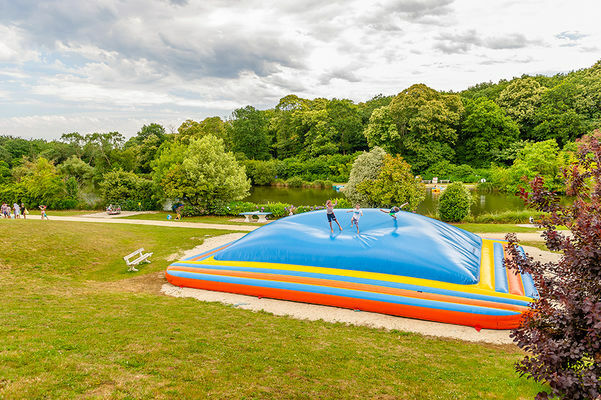 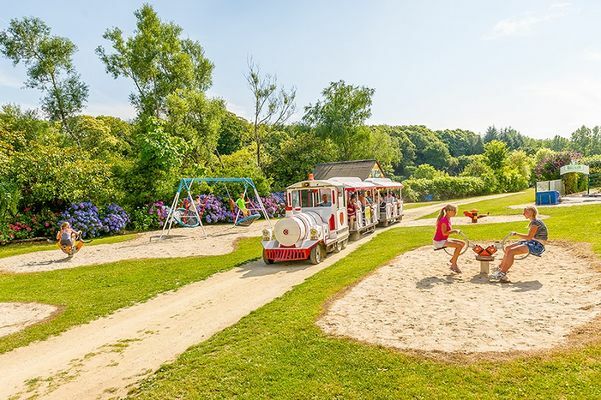 Bel Air Leisure Park is set in 5 hectares of leafy countryside, 25 minutes from Quimper. 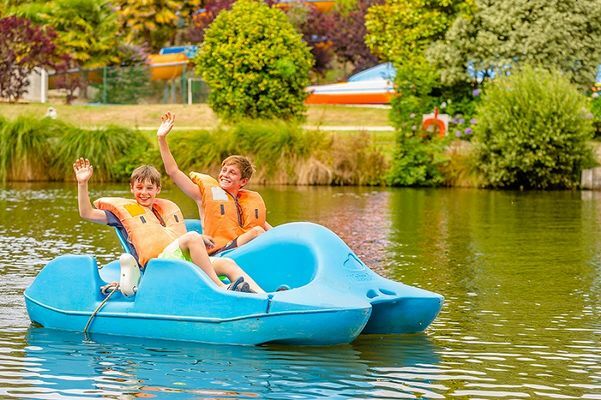 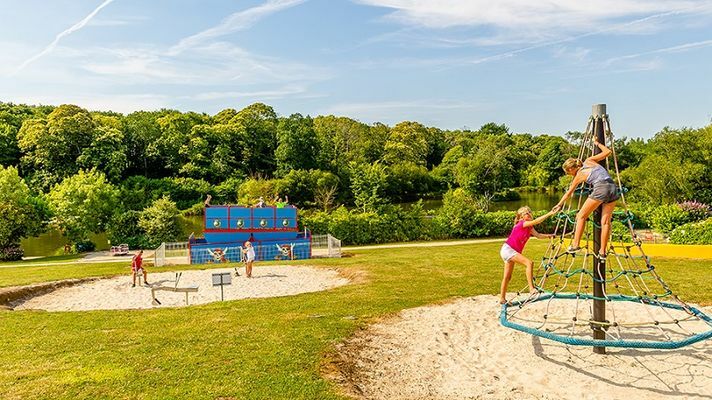 It has an water park complex with a space-flume and 4-lane slide, a large fishing lake with pedal boats, fishing, bouncy castles, trampolines, dry toboggan run, go-karts, pedal-driven big wheel, aquabully, Alien, spring toys, swing-boats, boules area, roundabout, sand-digger, cable car, leisure area with hammocks, swings, ball pool, inflatable mountain and giant chess game. 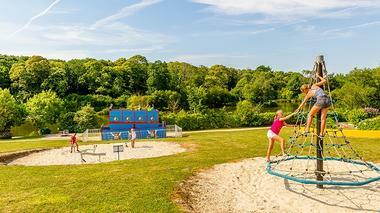 A little train goes around the entire park, which has shady picnic areas, halls, a bar and ice cream shop. 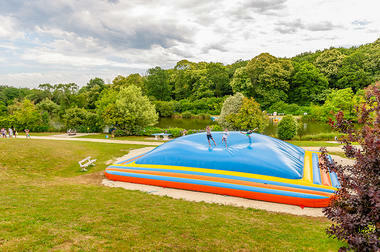 Paradise for children... and parents too !